Whatever the size of your business, the regular networking events organised by the Chamber are excellent platforms which enable you to make contact with other business people and develop potential business with them. The Chamber aims to give practical help, advice and support to its members, whilst providing them with an opportunity to become involved in local business and community affairs. Since its inception, Redbridge Chamber has forged close links with the local council, various other agencies and other local Chambers. It has developed a wide range of contacts which can be used to raise issues of concern to its members. Information on similar like-minded businesses can be accessed through the Chamber website or from the annual diary/handbook. Always Inspired are pleased to offer Redbridge Chamber members a 10% discount on any order over £50. Aspire UK – Chartered Certified Accountants – Offer to all Chamber Members and people they know, accounting and tax packages from £199 per annum plus 15% discount. 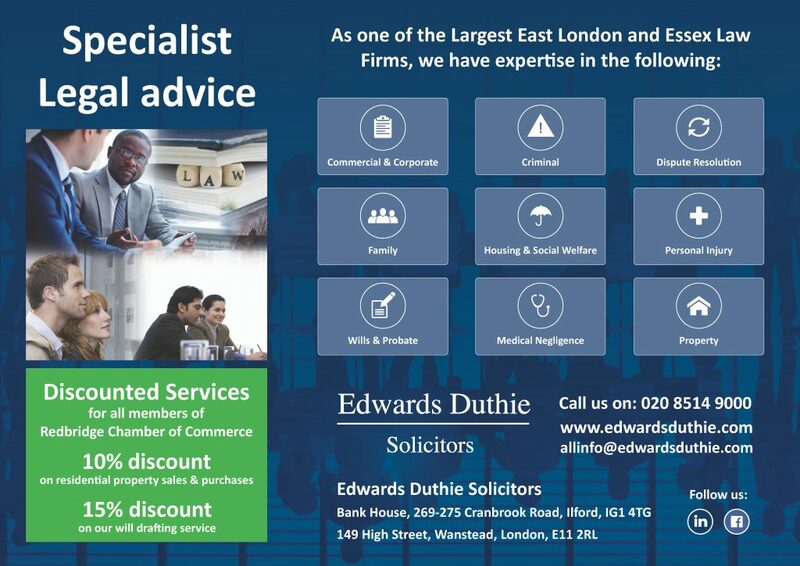 Find It Here offers all Chamber Members and referrals a 10% discount on any size ads in our bi-monthly magazine. Our high quality A5 magazine is seen by thousands of local residents. It contains high quality business adverts and clients have testified an increase in business. Our rates cannot be beaten. Call us FREE on 0800 098 8023.